A sibling's death has psychological effects on a child. 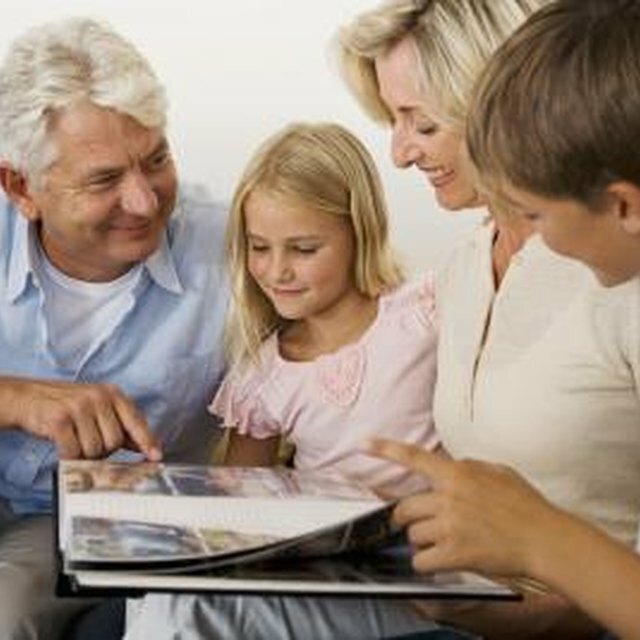 1 Does Grandparents Moving Away Affect Children? 2 Does a Man Get Any Signs or Feelings When His Girl Is Pregnant? Siblings provide each other with friendship and opportunities to learn how to interact with others. They may also be a source of frustration. Though sibling relationships are complicated, losing a sibling can be a devastating experience, especially for children. It is normal for a sibling's death to effect children psychologically. Children may feel guilty after a sibling dies. Young children aren't able to comprehend death. They engage in magical thinking where they believe their actions, wishes and thoughts can make things happen, according to David J Schonfeld, MD and Marcia Quackenbush, MS, MFT, CHES. As a result, young children may believe something they thought or wished caused their sibling's death. Older children may also experience guilt after a sibling's death. They may wonder if they should have or could have done something to prevent the death. Children can also experience survivor's guilt after a sibling's death. According to Dr. Schonfeld and Quackenbush, a child is most likely to feel guilty after his sibling's death if he wished his sister would pass away during a chronic illness or if he was angry with his sister before she died. Occasionally, children who are grieving a sibling's death may develop childhood traumatic grief. This condition features severe traumatic and grief symptoms that interfere with a child's ability to function. According to The National Traumatic Stress Network, while children are more likely to experience traumatic grief after losing someone to an unexpected or traumatic death, it can also result from an anticipated death. A child experiencing traumatic grief will avoid memories of the death or of her sibling. For example, a child might avoid looking at photos of her sister or talking about her death. sleeping difficulties, nervousness, an inability to concentrate, being easily startled or being easily angered or irritated are also symptoms of traumatic grief. Other indications that a child is suffering traumatic grief include intrusive thoughts or reliving the circumstances of a sibling's death, nightmares or a preoccupation with thoughts about how much the sibling suffered. Some children may regress after the death of a sibling. For instance, a young child may revert to thumb sucking, wetting the bed or needing to sleep with parents. These behaviors are typically short-lived, asserts the National Sudden Infant Death Syndrome Resource Center. Anger and depression are common in children who have lost a sibling. A child might be angry at the doctors who didn't save his brother or even with his brother for leaving him. While sadness is part of the normal grieving process, sadness that interferes with a child's ability to function may be clinical depression. Unfortunately, it can be difficult to discern normal grieving from clinical depression, as they have many of the same symptoms. Appetite and sleeping changes, sadness and a lack of energy are common responses to both grief and depression. However, a child who is grieving normally will experience periods of happiness whereas a child experiencing depression is consistently sad. Difficulty doing everyday tasks, feelings of worthlessness, preoccupation with thoughts of death or dying or excessive guilt that lasts for two or more months are signs that a child is clinically depressed. Anxiety is another common reaction for children who have experienced the death of a loved one. A child may begin to worry that his body will fail him. He may express worry about any physical symptoms he experiences. He may become fearful that other loved ones close to him will die as well.